The new beverage line will have drinks with "naturally-derived caffeine." Coca-Cola fans, prepare to be hyped. And really, really energized. The brand with the iconic red and white label has its sights set on producing its first line of energy drinks. On Friday, a Coca-Cola spokesperson confirmed to TODAY Food that it has a new proposed beverage line that will be called "Coca-Cola Energy." The drinks, according to the company spokesperson, will be made with "naturally-derived caffeine and guarana extract" and include a sugar-free option branded as "Coca-Cola Energy No Sugar." Guarana is a plant with antioxidant-promoting properties native to the Amazon that research has shown has up to four times the amount of caffeine in its seeds than coffee beans. It's a popular supplement additive and is also used to fight fatigue as a substitute for coffee. The company spokesperson told TODAY Food that Coca-Cola will develop the drinks' recipes as a "a preferred option for people who want these types of ingredients in an energy drink." But the launch of Coca-Cola Energy, which has yet to be announced, may be thwarted by pending litigation. According to the company spokesperson, the brand is waiting to resolve an arbitration filed with Monster Energy, which Coke partnered with in 2015. Official details will be announced once Coca-Cola clarifies whether it can launch products that may compete with Monster's in the energy drink aisle. Although Coca-Cola has launched other spins on its original Coke product with added coffee in international markets, the decision to release its own energy drinks has been a long process, Reuters reported, as highly-caffeinated beverages and caffeine overdoses have been linked to health issues, and at least one death, in teenage consumers. Clean your toilet with ... Coke? Other studies, however, have shown that drinking caffeine in moderate amounts of about 200 to 400 milligrams a day can lead to a longer life. 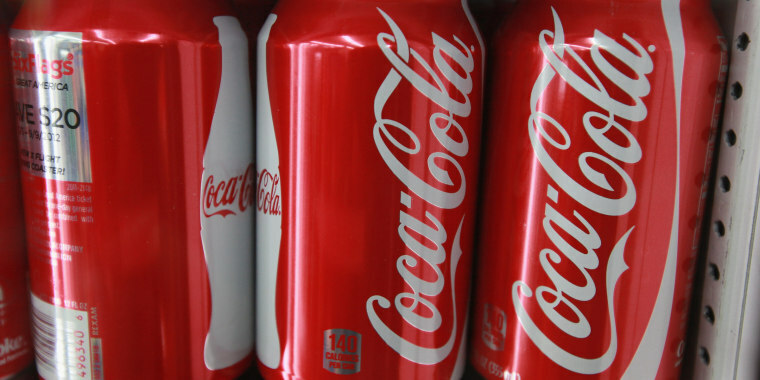 On Twitter, reactions to Coca-Cola Energy have been mixed. Some think regular Coke should be considered an energy drink as is. For years Coke was the energy drink. Caffeine and 150 calories of sugar.......what am I missing? One tweeter noted how the popular soda was the first "energy drink" on the market — referring to the original 1886 formula created by a pharmacist in Atlanta. As far as I know, Coca-Cola was the first to enter the 'Energy Drink' market with their original formulation. Different stimulant but same concept. And, of course, there are some soda lovers who are excited about the innovation. Just how "awesome" might this drink be? Only time will tell.